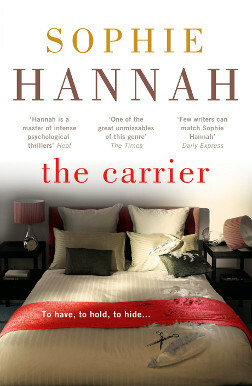 Sophie Hannah has just released The Carrier in the United Kingdom. This is the eighth book in her Charlie Zailer and Simon Waterhouse series. Publication in the states will not happen until later this year, but the book is worth the effort to import if you are already a fan. To call the books of Sophie Hannah anything other than complex would be to do them a disservice. 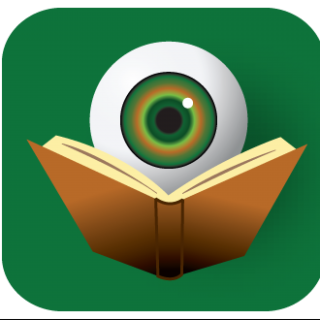 Each of the novels is a psychological mystery that is actually rooted in the psyche of the characters. They read like jigsaw puzzles in which it seems that you have pieces from various different puzzles, yet in the end, Hannah manages to make them all fit together to reveal a final image that will shock and surprise. As a reader, it is impossible not to be awed by the subtle way in which Sophie Hannah manages to accomplish this. The Carrier is another in this line of confounding mysteries. Sophie Hannah has never worked within the genre’s traditions. While the main detectives, Charlie and Simon, tie the series together, they are never the main characters in the story. Each book is really the story of the crime and those involved with it, and the police investigation runs parallel to the process of getting to know those new characters. In The Carrier, we are introduced to Gaby Struthers and Lauren Cookson. At the start of the novel, they are stranded in Germany when the plane they are both, separately, traveling on is unexpectedly cancelled. Forced to share a hotel room, Gaby quickly learns that Lauren may in fact have been following her, but has no idea why she would do such a thing. Meanwhile, Simon is working on a case involving Tim Breary, who has confessed to murdering his wife, but doesn’t know (or won’t say) why he did it. Simon feels that his boss and a co-worker named Sam Kombothekra are doctoring evidence in order to sabotage his investigation, so when his wife, Charlie, is asked by Sam to lend a hand she agrees. The line of questioning leads to the revelation that Tim and his comatose wife were sharing a home with some friends and caretakers. It comes to light that all of them were home the night of the murder. One of those caretakers was Lauren Cookson and in true Sophie Hannah fashion, these two stories suddenly intersect and what follows is a deep analysis of manipulation, guilt, fidelity and love . Without giving away too much, the novel presents a plausible, and psychologically sound, rational for why an innocent man might confess to murder. Sophie Hannah intersperses the dramatic action of the novel with letters written by various characters addressing the victim of the crime. These letters allow a glimpse into the inner workings of the characters’ minds, so it will come as no surprise that they factor into the solution to the crime. The developments in the lives of the detective squad also continue to take unexpected turns making them the perfect backdrop for this story of irrational action. With The Carrier, Sophie Hannah once again manages to remind us that we are all human and as such, much of what we do just simply doesn’t make sense on the surface; but dig a little deeper and you will be surprised by how easy it can be to understand the actions of others.